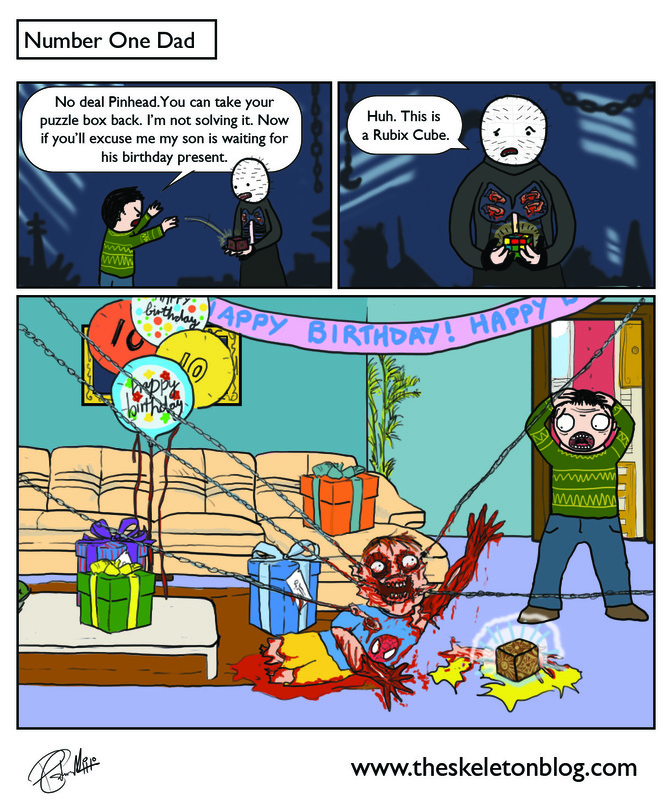 It's hard to be a good dad but even if he had got his son a rubix cube I don't think the kid would have had a much better birthday. 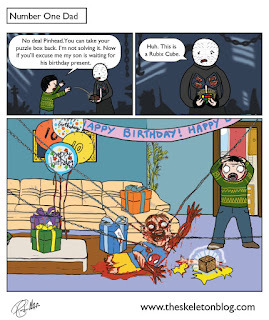 A rubix cube is an awful gift. We used to have a knock off rubix cube when we were young. As far as I remember it had coloured stickers instead of coloured plastic squares. We just removed the stickers and stuck them on again to make it look like we'd done it. While checking out pictures of Pinhead from Hellraiser I came across Clive Barkers inspiration for the Cenobite's design. Apparently he drew inspiration 'from punk fashion, Catholicism and by the visits he took to SM clubs in New York and Amsterdam'. Nice mixture. I bought this watch for my dad on this website on Father's Day.replica omega watches This watch has been bought since my father has been wearing it. It has been running and working very hard. fake omega speedmaster racing watches The key is that it looks no different from genuine and the design is perfect. He likes it very much.